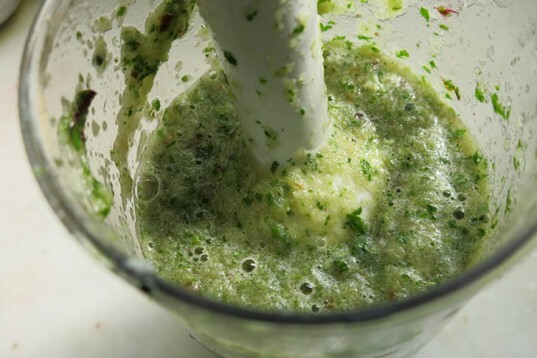 You can use any ingredient you want according to what’s in season, what your body needs or what your kids like, just mix it all in. 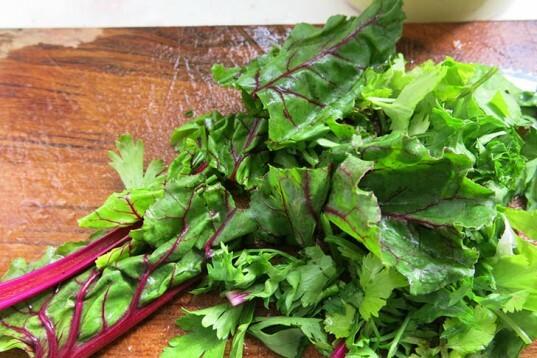 For this recipe we added celery, beetroot, its leaves, lettuce and mixed home-grown herbs. To add some sweetness try including dried fruits. As always, try your best to use organic produce. 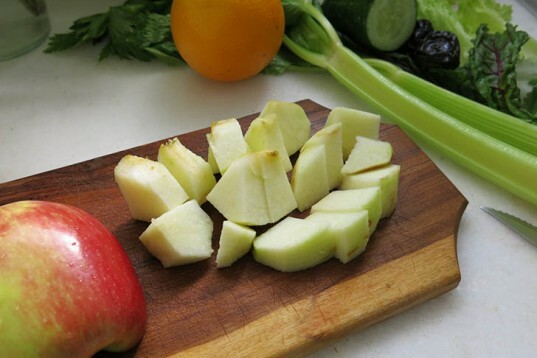 After the fruit and vegetables are washed, start chopping them up into small pieces. 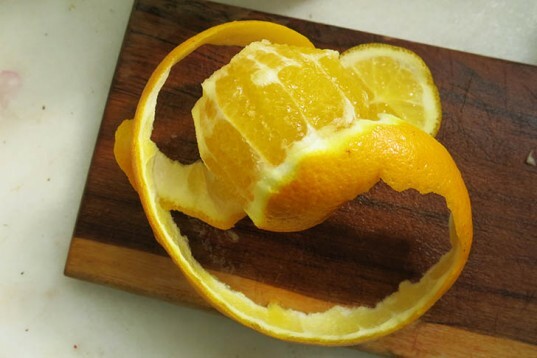 To make the most of the oranges, instead of squeezing them, remove their peels and chop them up into big chunks. Don’t worry about the seeds too much. 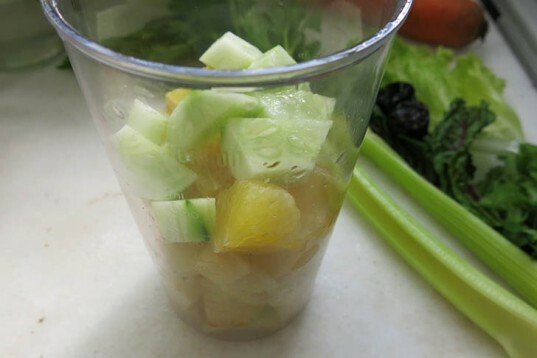 Place the orange bits, cucumber and apple inside the blender or food processor. 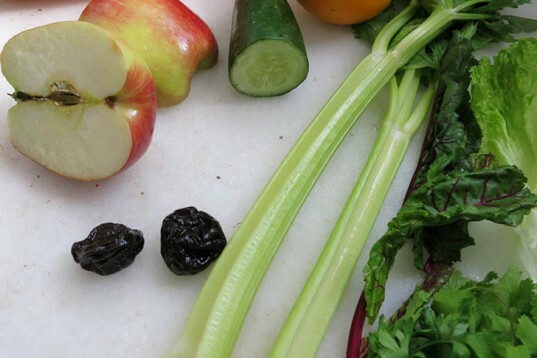 I used beetroot leaves in this juice, as they are usually neglected and thrown away — but they are yummy! 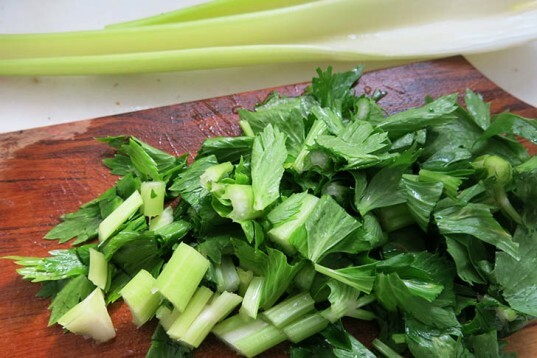 Don’t toss the celery leaves, blend them in! 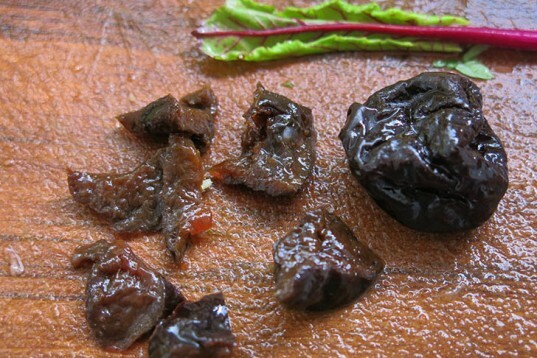 To make it sweeter I added two chopped dried prunes, which are both sweet and savory. 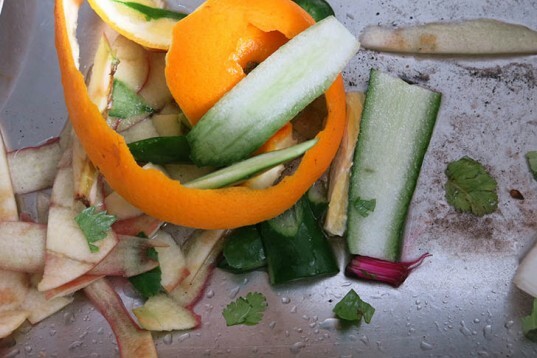 Take your peels and vegetable rests to the compost. 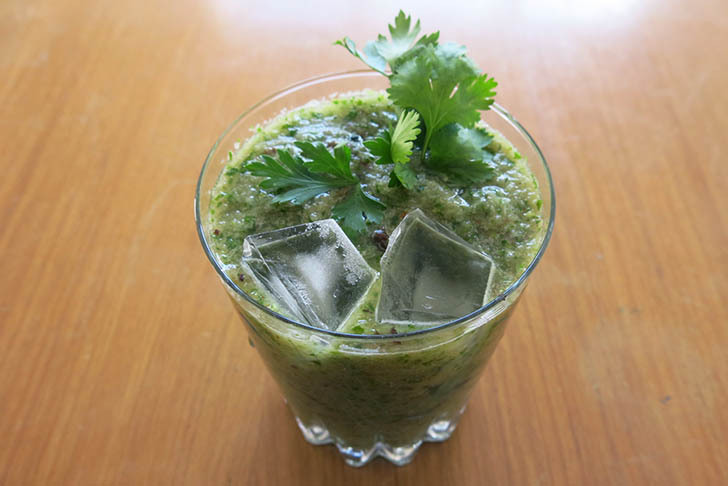 I used beetroot leaves in this juice, as they are usually neglected and thrown away -- but they are yummy!